Sitter: Sir Arthur Hamilton-Gordon, 1st Baron Stanmore (cr 1893) (1829-1912). 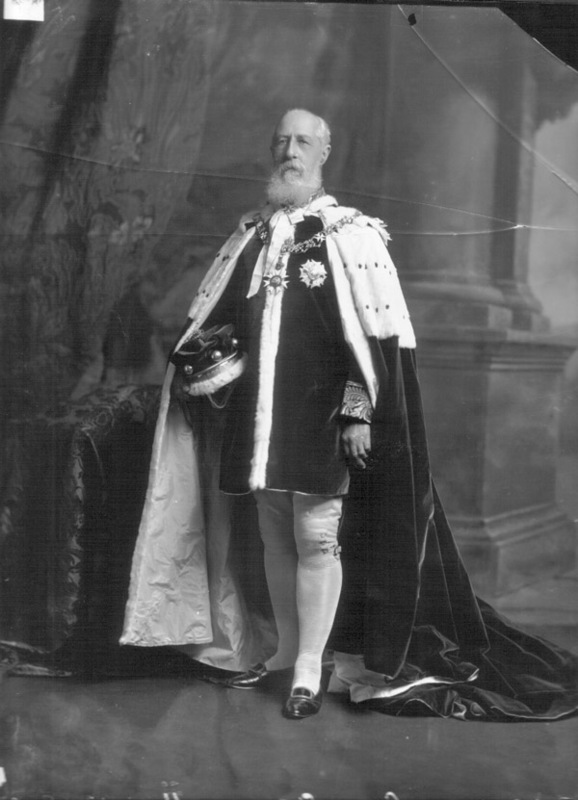 Occasion: The Coronation of the King Edward VII, 9 August 1902. Orders, Decorations & Medals: Collar and star of a Knight Grand Cross of the Order of St. Michael & St. George [G.C.M.G. cr. 1878]; badge of the Order of St. John of Jerusalem. Orders, Decorations & Medals: Burke's Peerage.